I’m rushing this final part and as a result it’s been ripped apart twice. And now for a third time. I’m following the original cushion construction and taking a shortcut that the manufacturer took by skipping a step. 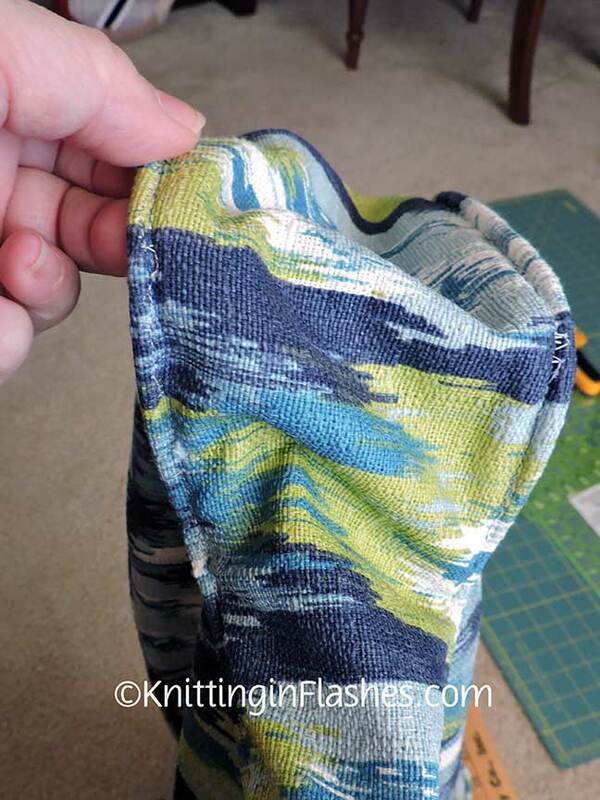 Instead of making a separate welting cord, they sewed the cording for the welting into the gusset and then sewed the gusset to the top and bottom. 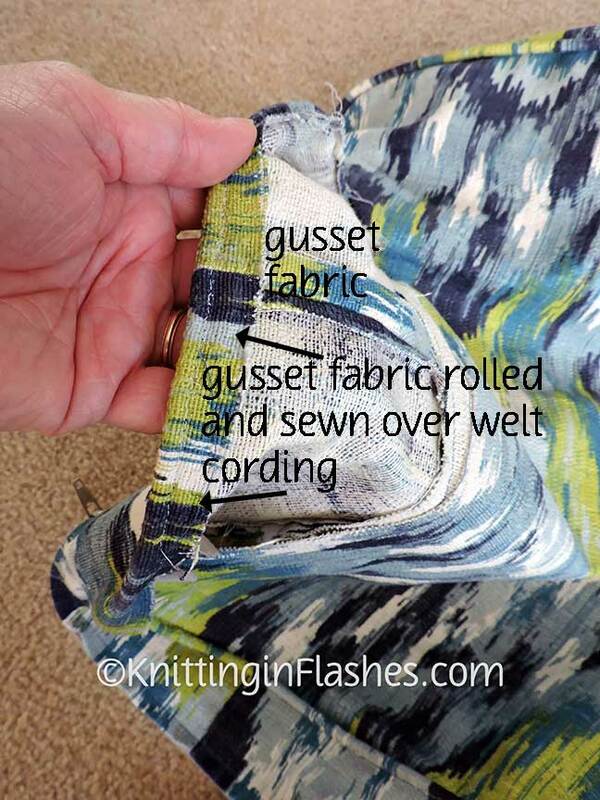 Matching the top and bottom with the gusset in between is a challenge when the gusset is stiff due to the welting. I’m not getting clean corners. See how the fabric weave is not on the straight grain? That’s a big problem. So I’m ripping it out. Again. 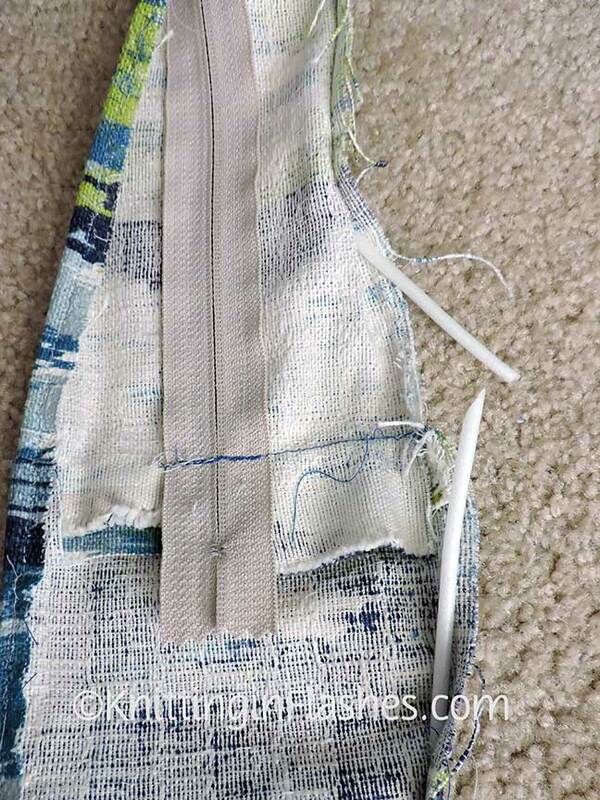 And will make welting cord the right way and sew it onto the top and bottom of the cushion cover. 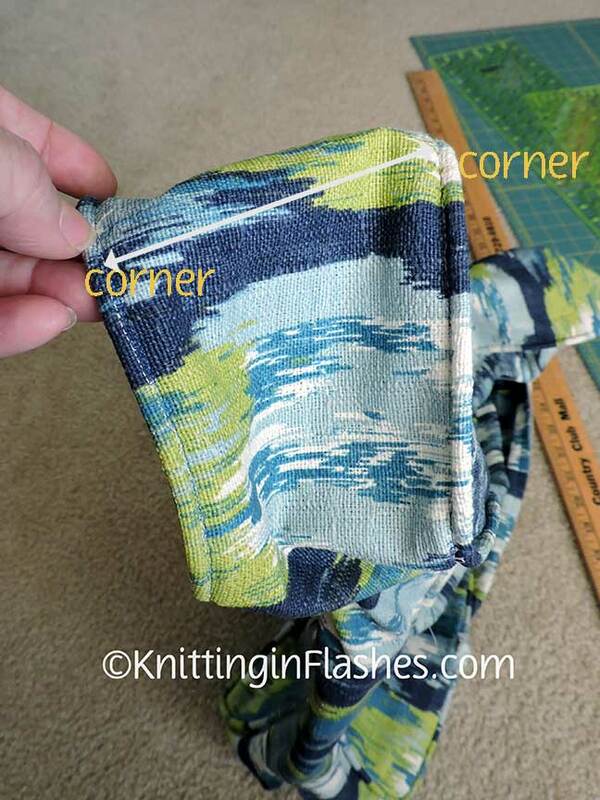 Then I’ll sew the gusset by marking each corner. As my grandmother used to say, “If it’s worth doing, it’s worth doing right.” Sorry Gram, it’s taking me three times to remember that. 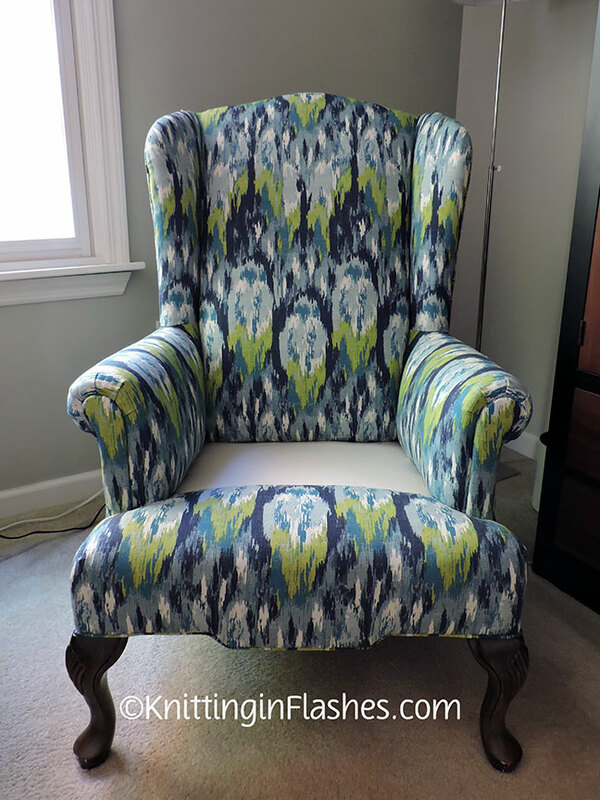 This entry was posted in decorating, sew, sewing, upholstery and tagged chair recover, decorating, recover chair, reupholstery, sewing by Patti_is_knittinginflashes. Bookmark the permalink. I’m amazed of the the challenges you take…and finish beautifully! Good job sista! It’s either amazing or lunacy! You have done a beautiful job on your chair. One (almost) down, one more to go. That redo is AMAZING!!!! I LOVE!!!! that fabric. Sorry to shout, but you are a GODDESS!!! You’re welcome! I think you can do it!